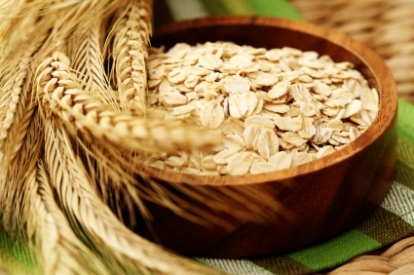 HAPPY NATIONAL OATMEAL DAY! Doesn’t it make you feel all warm and mushy inside? Personally, I adore oatmeal and all it’s yummy stick-to-your-ribs comforting goodness. Not to mention that it has many health benefits too like being packed with fiber and minerals, it helps lower blood pressure and reduces the risk of many diseases. As many of you know I am an AVEENO Blogger Brand Ambassador, and in celebration of this T-OAT-LLY fab day, I am hosting a great giveaway of soothing and healing AVEENO Oat filled products. Specifically, I am giving away TWO SETS of the following four AVEENO products that feature their wonderfully healthy Oat ACTIVE NATURALS like Colloidal Oatmeal, Triple Oat Complex, and Oat Complex. I add apples, raisins, and walnuts to my oatmeal. I love baked oatmeal with Greek yogurt & fresh berries. I always loved apple cinnamon oatmeal, healthy and delicious! I like mine with brown sugar and cinnamon. Also I toss a few walnuts in there too. I like oatmeal with a little butter and brown sugar. I love adding bananas to my oats. I love oatmeal with blueberries and honey. I like mine with grapes in it. I know it sounds weird, but it’d delicious. I love Apples and Cinnamon oatmeal with milk and butter added. i love adding craisins with honey to my oatmeal. I love adding fresh fruit and using milk in place of water in my oatmeal. Walnuts and milk for me. I love to add cinnamon and brown sugar to my oatmeal. I love oatmeal! In everyway possible. I love adding blueberries to my oatmeal. I add sugar, butter, and a little heavy cream. It’s the best way to eat oatmeal. I like mine with just a few raisins. I like oatmeal with a little brown sugar and walnuts! I LOVE ME SOME DAILY MOISTURIZING BODY WASH. I like my Oatmeal the same way my Grandmother made it for me when I was a child. I like to have it with warm cream on top to make it kind of soupy with lots of butter on top. then take your toast and spoon the oatmeal onto it and enjoy! Yummy! We liked cooked oatmeal with greek yogurt and bluberries. And maple syrup. I will only eat Oatmeal cream pies or oatmeal raisin/chocolate chip cookies. Brown sugar and a little honey! Yummy! I also like to add dried cranberries sometimes. I like oatmeal in granola bars, in cereal, and also warm with brown sugar and butter! Kristinia´s last blog post ..Brisk cool mornings..Hello Fall! I love a nice hot bowl of maple oatmeal! i love putting brown sugar in it! I love to eat my oatmeal with brown sugar and butter. I like almond slivers with mine. I love regular oatmeal for breakfast made with milk and topped with maple syrup or blueberry jelly. My whole family loves when I make a big pot of oatmeal with a little sugar, cinnamon and golden raisins, delicious. I LOVE to make breakfast cookies with oatmeal! All it is is mashed bananas, oats, and chocolate chips and then you bake them! YUM! I like to add raisins and brown sugar to my Oatmeal. Nuts and fruit go in my oatmeal. I enjoy oatmeal all different ways. Normally I cook it in the microwave and add sweet and low and butter. i dont like to eat it ewww only on my body!! I like eating my oatmeal with a little cream, brown sugar and some raisins. My favorite way to enjoy oatmeal is from Starbucks! I like to put apples and cinnamon in my oatmeal. I enjoy hot oatmeal for breakfast and love adding brown sugar and blueberries. My favorite way to eat oatmeal is instant oatmeal cooked in milk instead of water with chopped up almonds and cranberries. It tastes so delicious! Thanks for this awesome giveaway! I microwave my oatmeal and I enjoy adding raisens and nuts. I like to add granola, craisins and hemp hearts! I like my oatmeal with toasted almonds! I like hot cooked oatmeal with brown sugar and dried cranberries on top. I love to put nuts and fresh fruit in my oatmeal. I like oatmeal with Silk coconut milk, nuts like walnuts ot sunflower seeds and Craisins sweetened with a little brown sugar.